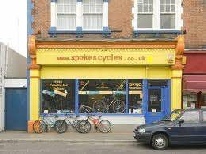 Spokes Cycles is owned and run by Andrew Sleeman who has over 20 years experience in all things â€˜cyclingâ€™. He is extremely dedicated to the Town and has done some amazing work in the past to help promote not only Littlehampton itself but also his fellow Traders. 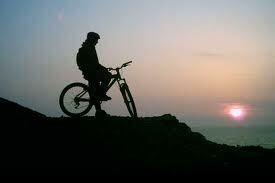 His Shop is situated in Beach Road, just a few yards round the corner from the High Street. See the map on the â€˜Contact Usâ€™ page. There is on-street parking right outside and ample car parking areas within 50 yds. Itâ€™s even FREE for 2 hours if you use one of the free parking discs available at many stores across the town. The free parking disc scheme is sponsored by the Littlehampton Traders Partnership, of which Andy is a Founder Member and Past Chairman. http://www.facebo ok.com/group.php? gid=116679035500 &v=info and had these posters and slogans arranged around the town to help publicize what a great place Littlehampton is to do your shopping.